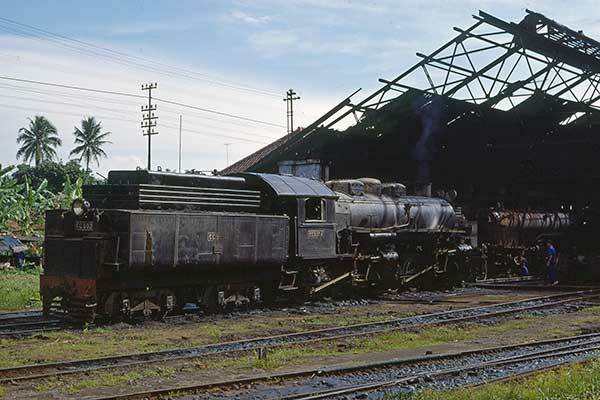 Caption - CC5024 stands outside the dilapidated loco shed at Cibatu. Inside another two CC50 class Mallets were under repair together with a CC10 2-6-6-0T. It was always hard to decide what was under repair. Most sheds had a number of locos in various states of assembly with piles of bits and pieces scattered around the shed.